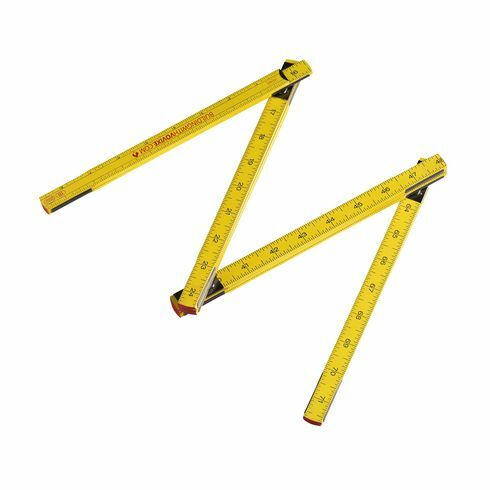 Folding ruler for the professional worker. Lacquered wood, with a length of 2m/78in. In centimetres on one side and inches on the other side. Your matching print on both sides. In accordance to European standards.